This quote brings to mind the distinction between the lavishness of our visual perception as we survey a scene and our limited ability to capture that richness in a drawing. So in sketching, rather than attempt to reproduce every detail exactly the way we see it, we should simply try to make what we perceive visible to others. We do this by remembering that all drawing is abstraction, editing what we choose to include in our drawing, and relying upon suggestion rather than exact replication. 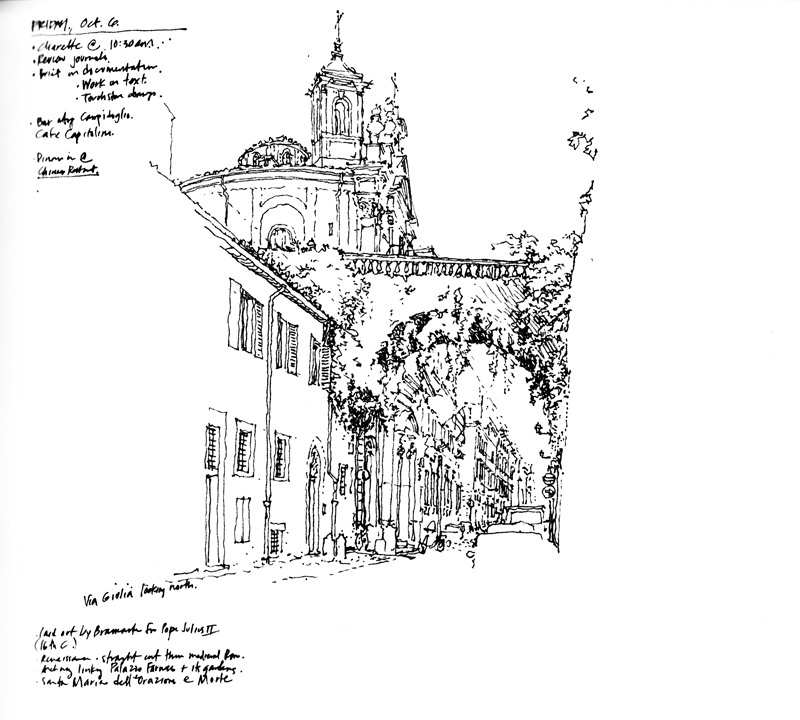 For example, here are progressive enlargements of a portion of a sketch I did of Via Giulia in Rome. The lines and shapes are barely recognizable as being representative of anything. But in the context of the entire drawing, it is convincing enough to suggest to the mind’s eye a scene that we recognize. The whole is truly greater than the sum of the parts. This entry was posted in Drawing, Seeing by FC_admin. Bookmark the permalink.